One smartphone vendor from China that is now intensively controlling the world smartphone market. Evident from the Oppo logo in the form of green writing typography that never missed decorating HP counters, online media, roadside banners and billboards, and every television show and advertisement on the screen. 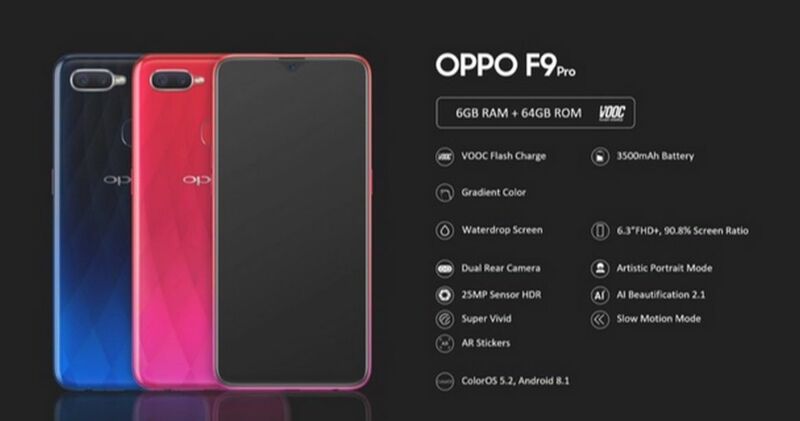 In its place of origin, the Bamboo Curtain Country, Oppo has now become an old player rival like Huawei to become the largest smartphone manufacturer in China. In fact, not only in China, because since 2016 Oppo became the number 4 most popular smartphone brand globally after Apple, Samsung, and Huawei. Oppo proved itself to be one of the rulers of the world's largest smartphone market, exactly number two after Samsung. This makes Oppo aggressively release smartphones. Oppo itself is champion in terms of sales speed. Often, stocks suddenly run out when the gadget is first sold in e-commerce. Usually if you buy a little late, you cannot freely choose the desired color. If asked, is the secret of Oppo in controlling the market, of course the answer is advertising and marketing. Oppo's advertising strategy is considered to be one of the most aggressive to promote smartphones, capable of 'selfie' as if it is a primary need. but apparently, the strategy was successful and indeed it was a strategy that was right on target in the Community. Oppo itself does regularly release several new gadgets every year. Especially for the highest variant, the F series, Oppo releases it twice a year. Well, in the middle of 2018, Oppo re-released their best line of smartphones, the Oppo F9. Let's discuss the price of Oppo F9, but before we will discuss the various features and specifications of the Oppo F9. Before talking about the price of Oppo F9, let's discuss the specifications. This smartphone has a width of 6.3 Inch Screen, body of 90.8 percent screen ratio with a resolution of 2340x1080. The cellphone also has 9.5: 9 Waterdrop Screen. About the camera, the Oppo F9 has a 25MP front camera and for the main camera adopts a dual-camera 16MP + 2MP. The second sensor is used for the effect, while the 16MP sensor has an f / 1.8 aperture. About speed, Oppo F9 on paper is quite fast. Because there is a Helio P60 MT6771 processor combined with RAM with a choice of 4GB and 6GB variants, and also 64GB of internal memory. This speed is also combined with battery durability that carries a 3500 mAh battery capacity. The battery capacity is combined with VOOC flash charge which makes the Oppo F9 able to charge for 5 minutes to be used for 2 hours of calling. A feature that is quite capable for the price tag of Oppo F9 is cheap for mid-range smartphones. About the battery, there are unique advantages of Oppo F9 where the gadget will not easily heat. This is because Oppo F9 uses VOOC which provides low power voltage by increasing the power current. This makes VOOC can accelerate the power of the larger money path, so it will not cause the temperature of the battery to heat. Again, features that can be considered top-tier, considering the price of the Oppo F9 Selfie Expert is the equivalent of the middle board. About the interface page, the Oppo F9 runs on the latest Android 8.1 Oreo OS, which is typical of the Oppo UI, namely Color OS 5.2. The price of the Oppo F9 Selfie Expert is available in three color choices namely Sunrise Red, Twilight Blue, and Starry Purple, it can be accessed in several Oppo official e-commerce sites at Shopee, Lazada, Blibli.com, Lazada, and JD.id. You can also find out the price of Oppo F9 in the official Oppo stores scattered throughout Indonesia. Here's the price of Oppo F9. Here's a comparison of the prices of Oppo F9 in various countries. The Samsung Galaxy Note 9 mobile features a 6.4" (16.26 cm) display with a screen resolution of 1440 x 2960 pixels and runs on Android v8.1 (Oreo) operating system. The device is powered by Octa core (2.7 GHz, Quad core, M3 Mongoose + 1.7 GHz, Quad core, Cortex A55) processor paired with 6 GB of RAM. As far as the battery is concerned it has 4000 mAh. Over that, as far as the rear camera is concerned this mobile has a 12 MP camera . Other sensors include Light sensor, Proximity sensor, Accelerometer, Barometer, Gyroscope. So, does it have a fingerprint sensor? Yes, it does. For graphical performance that can make games run smoothly, this phone has got a Mali-G72 MP18 GPU. On board storage is at 128 GB with the option to expand the memory by Yes Up to 512 GB. Design is one of the most important factors when it comes to mobiles. This phone is 8.8 mm slim and weighs 201 grams. Samsung will now release its newest product from the Galaxy Note series. 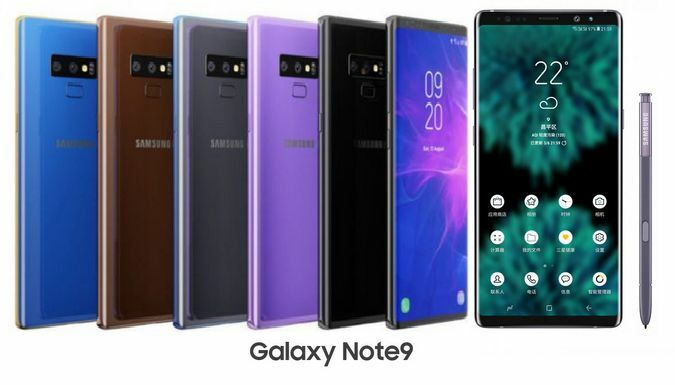 Called the Galaxy Note 9, this gadget is a continuation of the series of Note 8, with a little description of the specifications Samsung Galaxy Note 8. The design of the Note 9 gadget is not much different from its predecessor, Note 8. It is estimated to be 6.3 inches in size and has a resolution of up to 2960 x 1440, Note 9 both have dual-curved displays and bezel-free appearance. The difference is on the back of the Note 9. The fingerprint scanner that was too close to the lens in Note 8, has now been fixed by being spaced on Note 9. The S Pen stylus is the attraction of the Note 9. Rumors say the S Pen on Note 9 will have more accurate bluetooth than before. Besides that, the Note 9 stylus will be expected to be able to play music, move or skip slides, take photos, and even be expected to be used for gaming and virtual reality. On Note 9, the battery provided will have a resistance of 4,000mAH, while for the previous generation the battery only reached 3,300mAh to 3,500mAh. That means with a Note 9 battery, you can look all day at your gadget without worrying about dying from running out of battery. It is estimated that the Galaxy Note 9's camera is equivalent to the Note 8. It has a dual-lens and has the ability to capture images equivalent to DSLRs. The 2x optical zoom feature will also allow you to take far more clear pictures. It is not yet known whether the ability of the Note 9 camera will be improved to be better than the Note 8.